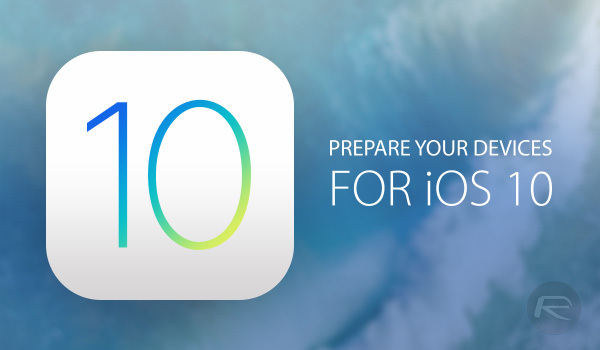 Here’s how to prepare for iOS 10 release on your iPhone, iPad or iPod touch device the right way. As you may already know, the time has finally arrived. Nearly. With iOS 10 set to become available to the general public on compatible iPhone, iPad and iPod touch devices, it’s time to start thinking about getting your device ready for that update. Some device owners will simply wait until iOS 10 is actually out and then attempt the update while others will go about installing the right way by prepping their device prior to it being released. If you fall into the latter category, read on for a rundown of things you should do before the update. There is literally no point in getting excited for everything that iOS 10 has to offer if you are currently the proud owner of a device that doesn’t support the installation of the update. Apple always does its very best to try and ensure that as many devices as possible benefit from new and improved firmware, but sometimes, the company just has to rule specific models out of the running due to hardware limitations that may put a damper on user experience. To see if your device is compatible, check out our compatibility guide here: iOS 10 Compatibility For iPhone, iPad, iPod touch Devices. It isn’t just apps, photographs, music and documents that require space on our iPhone, iPad and iPod touch devices. There also needs to be sufficient free storage space on the device to actually be able to install the operating system. We won’t know exactly how much space is indexed until iOS 10 drops, but you can follow our guide on how to free up enough storage space on your iOS device here: 10 Tips To Free Storage Space On iPhone, iPad [Guide]. This one is very important, but it should also be something that’s done on a regular basis regardless of whether you are updating the firmware on your device or not. 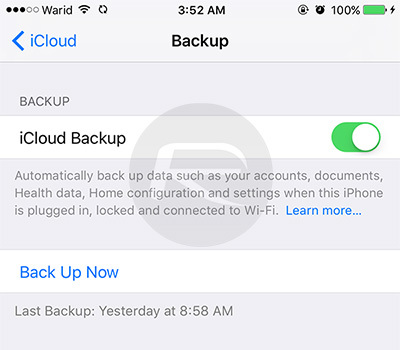 Before proceeding with any firmware update, it’s very important to ensure that files and data are protected by performing a backup of the device via iTunes or iCloud so that you can always go back to it incase something goes wrong during or after update. Note: Before proceeding with this, make sure the device is connected to Wi-Fi and that it’s put on a charge. Step 1: Launch the Settings app on the device in question. Step 2: Navigate to iCloud > Backup. Step 3: Ensure that iCloud Backup is toggled on. Step 4: Tap Back Up Now. Step 1: Connect the device in question to your Mac or PC via USB. Step 2: Launch iTunes if it hasn’t already been launched automatically on detection of the device. Step 3: Now from under “Backups”, select This computer, then enable Encrypt iPhone backup. Set a password for your encrypted backup when prompted. Step 4: Next, click on Back Up Now to begin the backup process. We’ve waited patiently through multiple beta builds to get to this point, so waiting just a few more hours shouldn’t be an issue. Wait patiently and that iOS 10 update will be appearing on your device’s display before you know it, Tuesday, September 13th at 10:00 AM PST (Pacific Time) to be exact. Official release of iOS 10 is tomorrow. No back up, just go for it. Why do you have to write instructions on upgrading iOS if it’s such an “elegant” solution? You’re not exactly a bright individual.